"Not all leads are created equal." Such a statement could have been authored by any number of marketing geniuses ranging from David Ogilvy to Dan Kennedy to Jay Abraham to Zig Ziglar. It is so widely attributable because of its universal truth. Potential clients find you at various points in their journey. 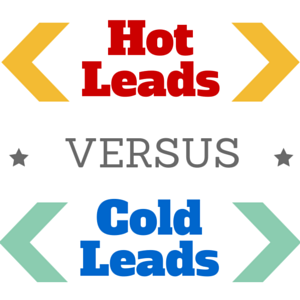 Some may be at the very beginning and represent a "cooler lead," while others may be on the verge of hiring an attorney and are "hot leads." The trick for you is learning to identify which are the hot ones that can be quickly converted into clients and which are the cooler ones that need to be warmed up. If you developed a marketing system that nurtured cool leads, you would be capable of capturing a significant part of the legal market in your region. And, if you perfected your ability to instantly convert hot leads into clients, you would find yourself leaping and bounding past your competition. Do Free Reports Still Work in Legal Marketing?